Must be a full time University student. Please consult with your LASN Manager before booking as QAS has arranged a number of tickets for staff. Sunshine Coast University Hospital (SCUH) is the centrepiece of the new Sunshine Coast Health Campus at Birtinya. This new public hospital (opened in 2017) has a state of the art 300+ seat auditorium in The Hub. The Hospital is 20 minutes from the centre of Maroochydore. 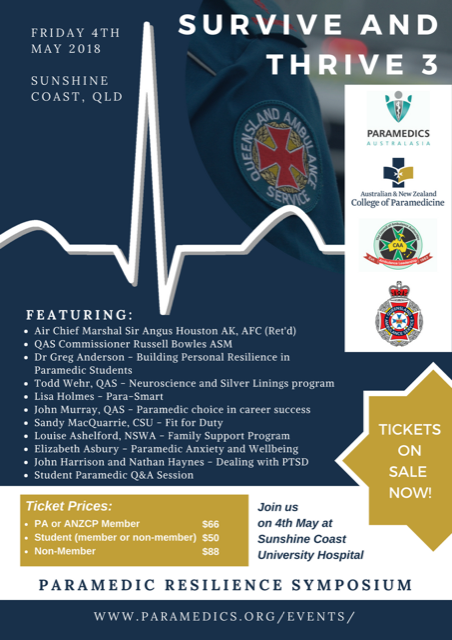 Sunshine Coast airport is serviced by Virgin, Qantas and Jetstar and is approximately 25 minutes from the venue. Parking at SCUH is safe, secure and easy to use with about 3500 spaces available for patients, visitors, staff and volunteers. Facilities include two multi-storey car parks, short-term parking, drop-off zones and ground-level parking.